4 RARE, OUT OF PRINT MODA COLLECTIONS! Vienna Nights * Seneca Falls * Garden Magic * Scrapbook Garden PLUS, Collectors Tin & Free Quilt Pattern! 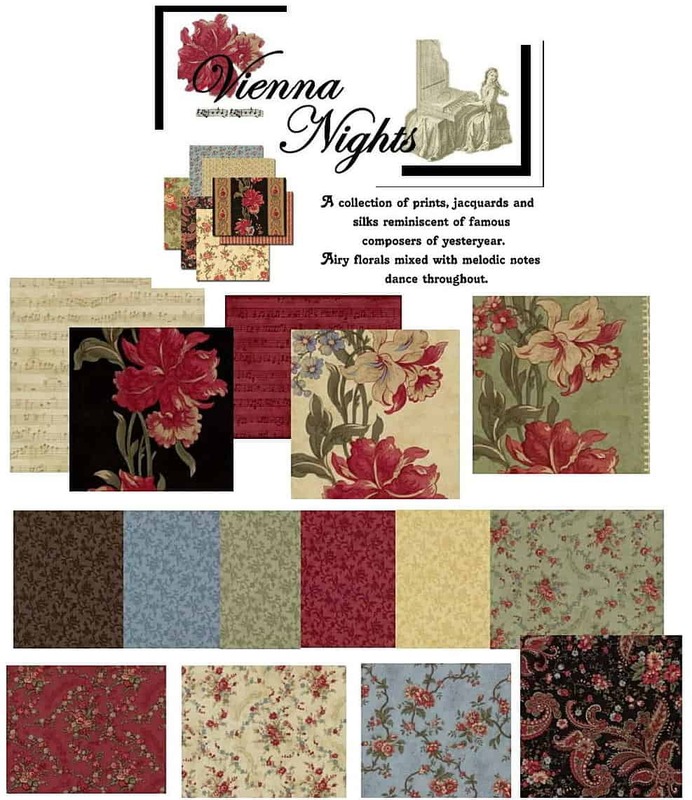 4 RARE, OUT OF PRINT MODA COLLECTIONS: Vienna Nights * Seneca Falls * Garden Magic * Scrapbook Garden PLUS,….. Collectors Tin & Free Quilt Pattern! 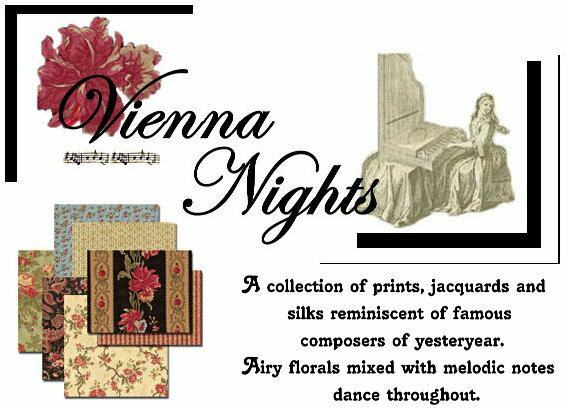 This deluxe set include: VIENNA NIGHTS: Vienna Nights is a collection of prints, jacquards and silks reminiscent of famous composers of yesteryear by 3 Sisters. Airy florals mixed with melodic notes dance throughout. 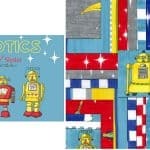 This out of print collection consists of 38 charms/quilt squares, one each of the entire set shown in photos above. 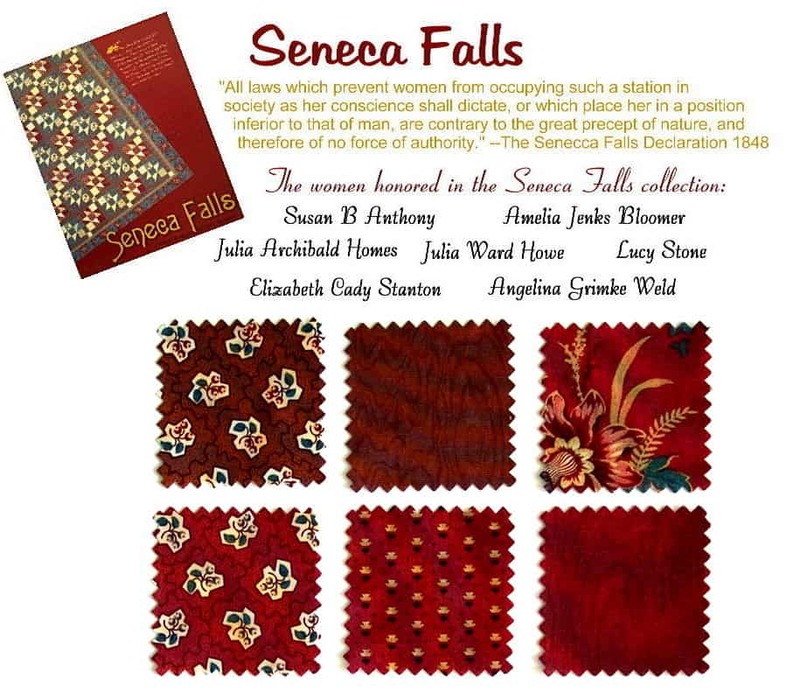 SENECA FALLS: Seneca Falls is a collection of prints inspired by the cottons of the 1840s and 1850s, the decades when American women were organizing to obtain the vote and legal rights equal to men’s. Each print is named for a woman who exercised her rights to follow her own conscience. 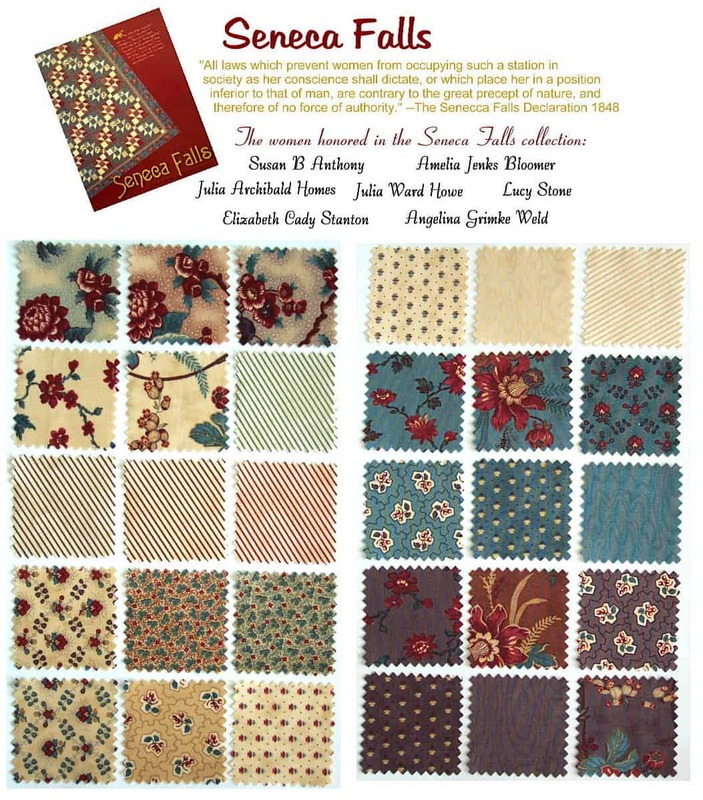 This out of print collection by Barbara Brackman & Terry Thompson consists of 36 charms/quilt squares, one each of the entire set shown in photos above. 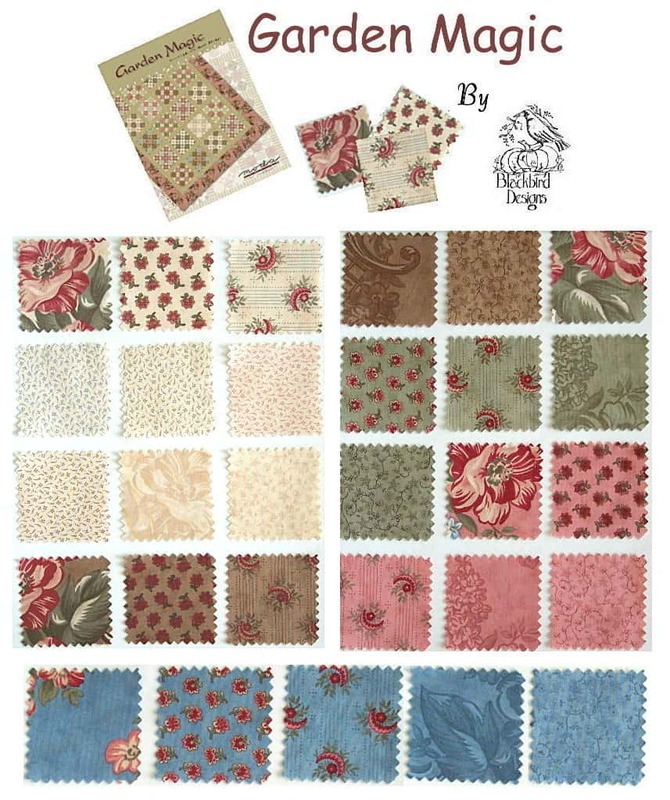 GARDEN MAGIC: This out of print collection by Blackbird Designs consists of 29 charms/quilt squares, one each of the entire set shown above. 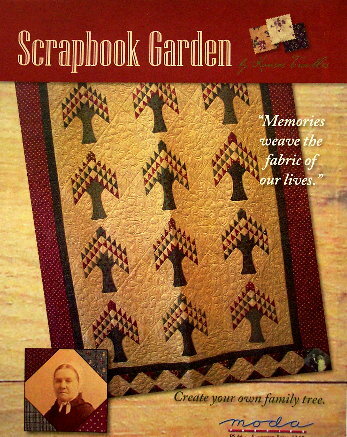 SCRAPBOOK GARDEN: Scrapbook Garden: “Memories weave the fabric of our lives”. 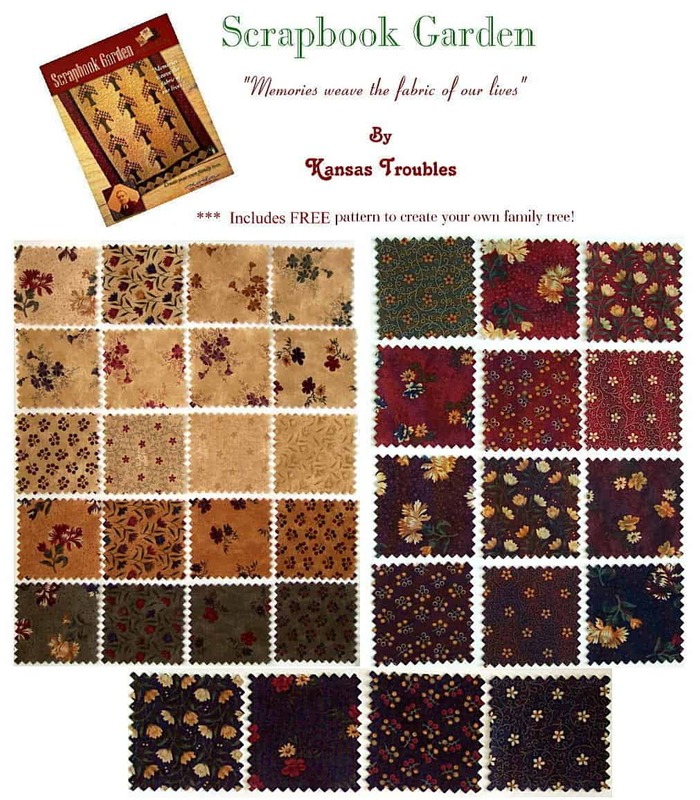 This out of print collection by Kansas Troubles consists of 36 charms/quilt squares, one each of the entire set shown above. 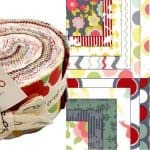 ALSO INCLUDED: Free Scrapbook Garden Quilt Pattern by Kansas Troubles. 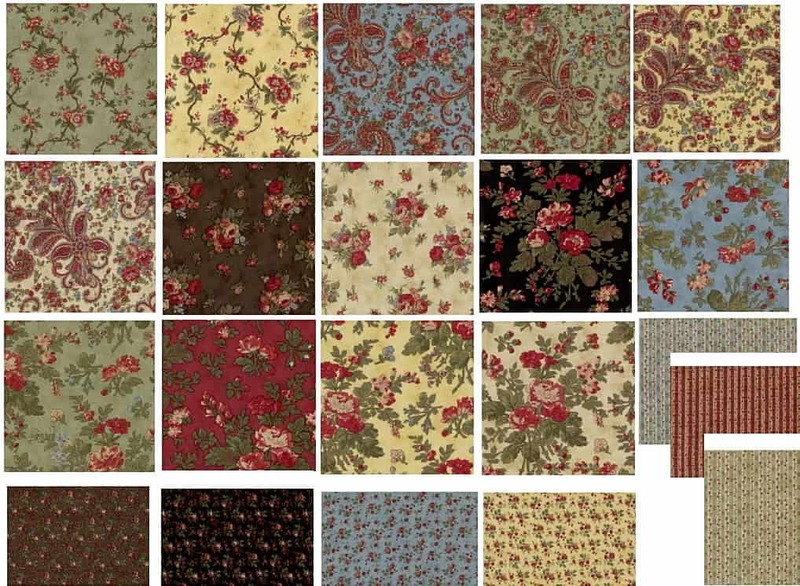 Approximate finished quilt measurements will be 67″ x 84″. All charms are Moda 100% premium quality cotton. All charms are Moda manufactured 2.5″ charms/quilt squares and come packed in a MODA COLLECTOR’S TIN.